How hard is the Tour du Mont Blanc? With approximately 450km of ski-pistes, it is reputed to be one of the least busy ski areas of its size. The commune is infamous due to a tragedy occurring in 1892, where a hidden lake under glacial cover spontaneously burst, killing 200 people in its wake. The flood caused so much damage that geologists and safety experts have now made efficient evacuation plans and water pumping devices in the instance that it ever happens again. St Gervais is spread over an elevation of 571–4,810 m (1,873–15,781ft) encompassing several separate villages, as well as the summit of Mont Blanc. Consequently, the commune has a very large variation in altitudes, ranging from the village of Le Fayet at 570m, up to the very highest summit of Mont Blanc at an icy 4810m. St Gervais les Bains has a significant year around population, rather than just seasonal. The town is steeped in history, full of topographical and architectural points of interest and brimming full of the traditional charm associated with the Alps. 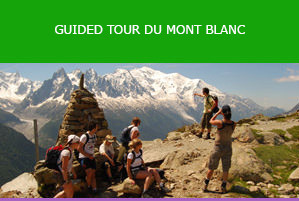 Tourists from around the world gather in the summer months to explore the numerous fair weather alpine activities available such as Mountain Biking, Climbing, Hiking, Paragliding, Rafting, and taking part in the Tour du Mont Blanc, an eleven-day trail around the Mont Blanc massif. In the lower village of Le Fayet is a popular thermal spa named ‘Les Thermes’. 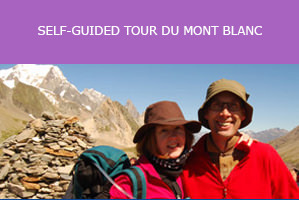 With fantastic railway links, the commune has a station beset upon the historic ‘Mont Blanc Tramway’, a grand route that travels up the glacier to altitudes of 2372m (7800ft), with rail links to Chamonix and beyond; over the Swiss border to Martigny. While the ever popular expansion of the commune continues, much care with conservation and upkeep of historical areas is evident, preventing the over-saturation of the tourism population in this historic part of the Rhone-Alps. © Salamander Adventures 2016 | Salamander Treks Ltd is registered in England and Wales under company No 6060750.